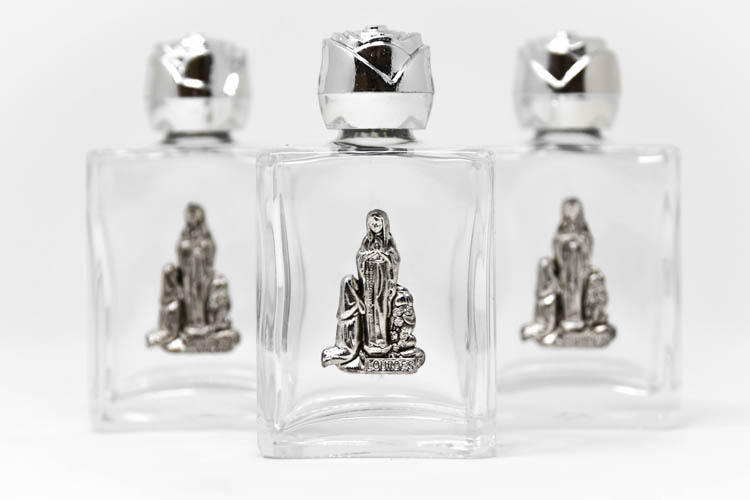 CATHOLIC GIFT SHOP LTD - 3 Square Bottles Containing Lourdes Water. 3 Square Bottles Containing Lourdes Water. 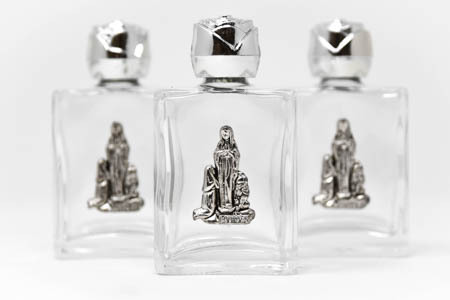 A set of 3 square glass bottles containing Lourdes water with a metal plaque on the front depicting the apparitions. Lourdes water is collected fresh from the spring at the grotto.